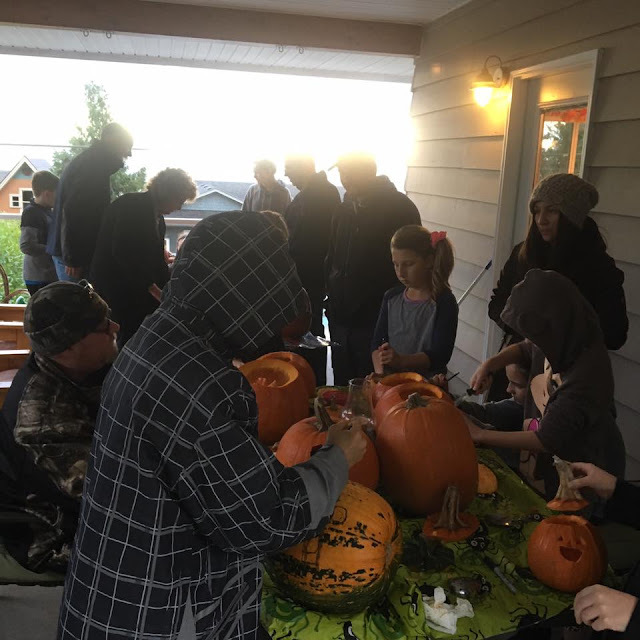 Tonight 30+ family and friends came over to carve pumpkins. 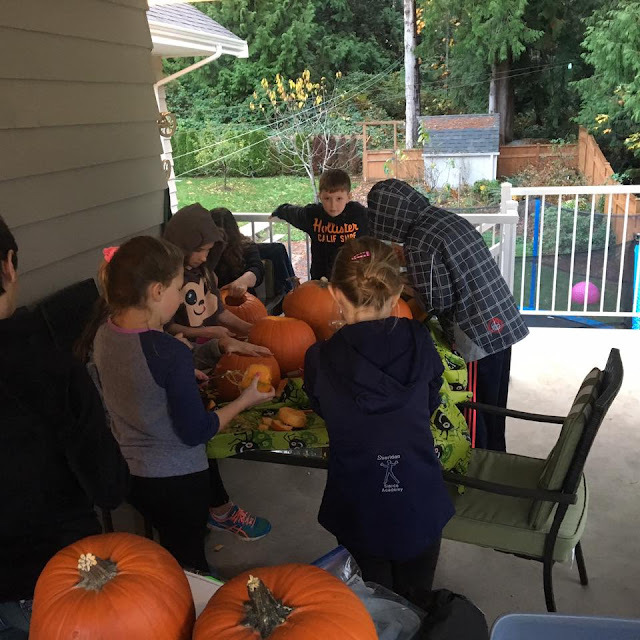 Lots of scary and fun faces were created on pumpkins of all shapes and sizes. 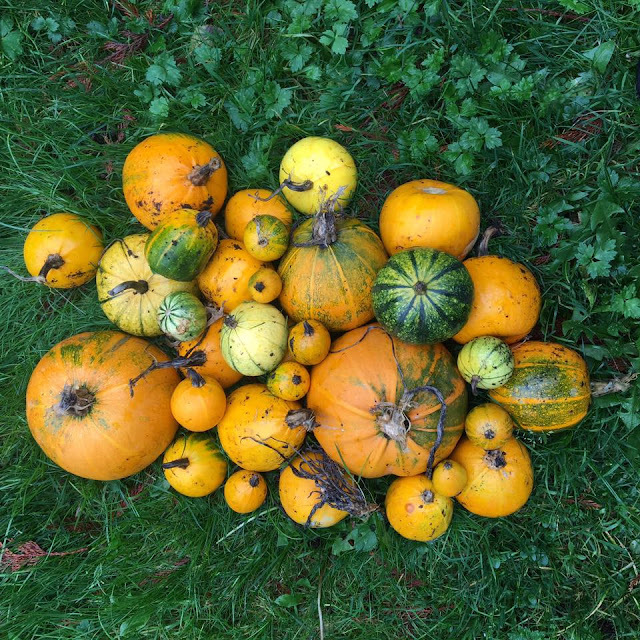 The kids even carved all the baby pumpkins we grew in the garden this year!!! We ate loads of chilli, pumpkin shaped homemade pizzas and other snacks and finished it off with cupcakes thanks to my always awesome parents. Last year this time, I wasn't well so tonight felt extra good. We live in a much bigger house now so entertaining is fun. I look forward to next year already. That looks so much fun - Happy Halloween!